This weeks elearning challenge is to create a labeled graphic interaction. I thought that I’d make some type of an anatomical interaction, but I wanted to make something more than just the normal image with markers that carry additional information. 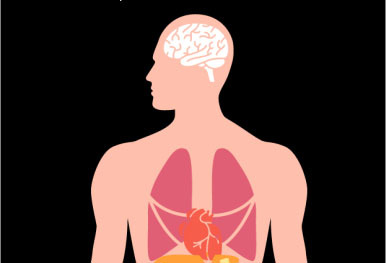 I found a free vector graphic of bodily organs at Freepik.com. I thought it would be interesting to create a drag and drop effect that would provide additional information once the organ was placed in it’s correct location. I made the organ location simple, by providing dashed lines, shaped like the organ, at the correct placement point. When the organ is placed in its location, it shows a layer with addition information on that body part. I also changed the state of the dashed outlines to hidden when the organ was correctly placed. Finally, I included a reset button so that the learner could review the body parts again, if they missed or forgot some of the information. As challenges go, this was a very easy one, so a lot of explanations of techniques are unnecessary (thus the short post this week). What I found the most fun was thinking of a way to take this challenge up a level, beyond what was expected. Check out my mini anatomy course here. Previous Post How are Your Pizza Skills?